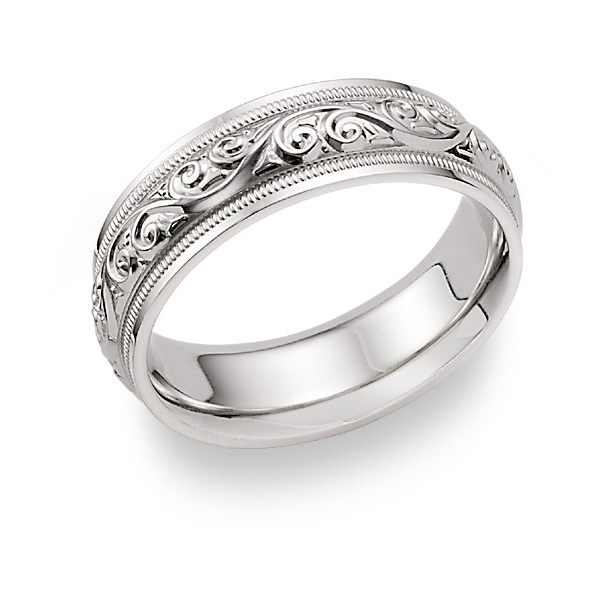 Finely engraved paisley wedding band ring is crafted in .925 sterling silver. Available in men's and women's wedding ring sizes. Band has engraved grooved accent edges and is 7mm wide with a Comfort fit design. Also available in 14k white gold or platinum, shown below. 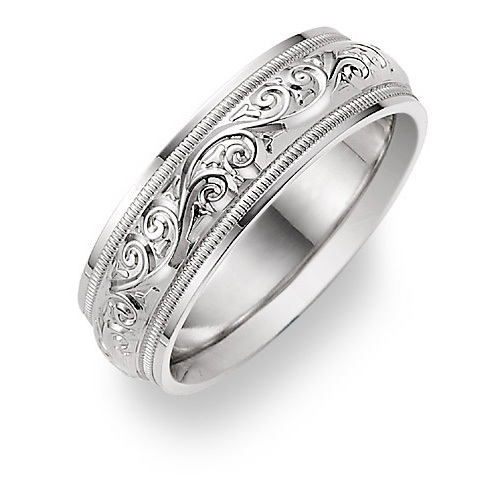 We guarantee our Silver Paisley Etched Wedding Band Ring to be high quality, authentic jewelry, as described above.